Enjoy premium design and performance in the 2017 Ford Mustang GT Premium. This two-door muscle car seats four and is a classic that never goes out of style. Choose from the Fastback or Convertible for this model. Sporty design is found throughout the 2017 Ford Mustang GT Premium with Pony projection lights and LED sequential taillights along with a raised blade decklid spoiler. Experience enhanced visibility at night with HID headlights which contain LED signature lighting. Dual bright exhaust with rolled polished tips come standard on this trim along with a rear diffuser. Practical style is found in the hood vent which helps to keep the engine cool and heated mirrors with blind spot detection and turn signal indicators. 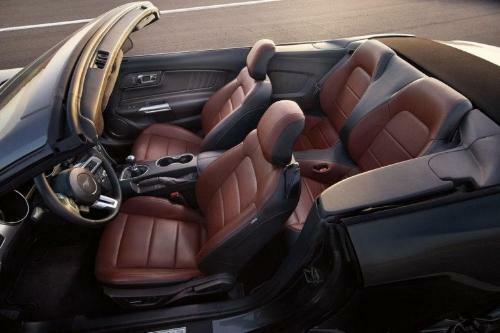 Sink down into the six-way power front seats which are heated and cooled as well as being trimmed in leather. The driver’s seat for the 2017 Ford Mustang GT Premium also includes lumbar support to reduce fatigue. Leather trim continues in the cabin with the steering wheel and parking brake handle while ambient lighting enhances the relaxed mood. Everyone is more comfortable with the dual-zone automatic climate control. Easily be on your way with intelligent access and push button start. 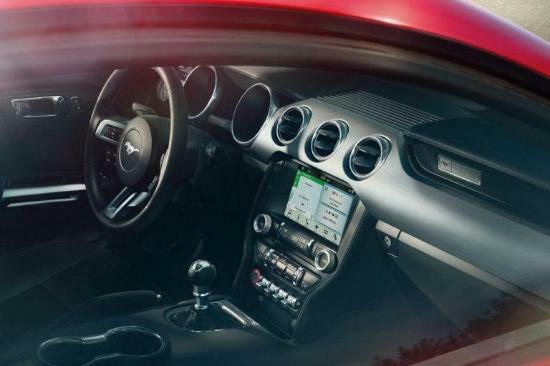 Enjoy premium entertainment in the 2017 Ford Mustang GT Premium with the nine-speaker audio system which comes with an amplifier. You have more media selections with SiriusXM satellite radio along with two smart-charging USB ports. Rely on SYNC 3 to keep you informed and entertained while you’re on the go. You can also add the optional navigation system and upgrade to the Shaker Pro audio system with 12 speakers. Customize the 2017 Ford Mustang GT Premium to fit your lifestyle with genuine Ford accessories. Add covers and protectors as well as deflectors to keep it looking brand new. Make it the most unique car on the road with special stripes, graphics, and trim kits. You can even add scoops to enhance the muscular look of this car. Add sport pedals and door sill plates to enhance the interior while cargo organizers help you keep your stuff easily accessible. Designed to offer a breathtaking journey, the 2017 Ford Mustang GT Premium is just as exciting under the hood with a 5.0L V8 engine. Experience precise control with the 6-speed manual transmission or upgrade to the 6-speed SelectShift automatic transmission, which comes with remote start. With the manual transmission, you have launch control while selectable drive modes are included with the automatic option to fit your driving style. Vented four-wheel disc brakes provide complete stopping power while the independent rear suspension ensures a smooth and stable ride. Recognized as a leader in the world of sports cars, the 2017 Ford Mustang GT Premium is an award-winning model. Feel secure behind the wheel of the 2017 Ford Mustang GT Premium with a full set of safety features. You can always count on the Ford warranty for the 2017 Ford Mustang GT Premium. Classic style and modern features come together in the 2017 Ford Mustang GT Premium. 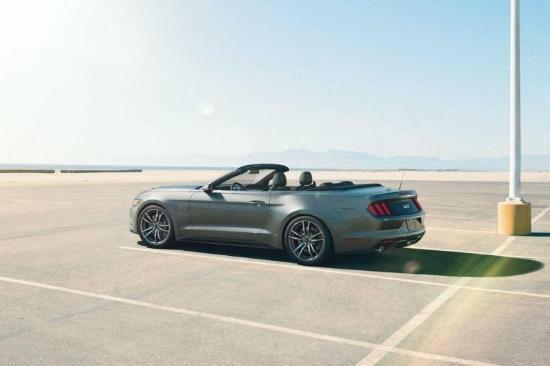 This muscle car has long represented the American Dream for many car buyers, and it still offers that stimulating excitement every time you get behind the wheel. Additionally, it comes with the latest safety and entertainment features to enhance the driving experience. Learn more about the 2017 Ford Mustang GT Premium and all of our fabulous Ford models when you visit your local Vernon Ford Dealer – Watkin Motors Ford. Come in for a test drive or just to have your questions answered about financing, customizing a car or the latest systems on these Ford models. 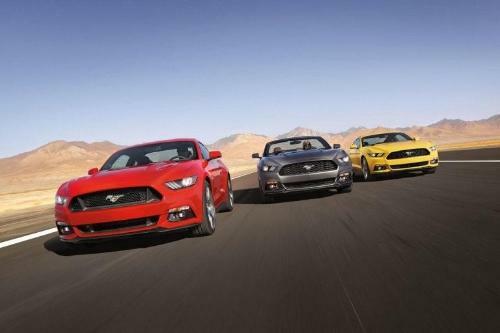 Rely on Watkin Motors Ford in the Okanagan area for all of your car-buying needs.